Ready to discover your fate? PalmistryHD and Daily Horoscope is the ultimate fortunetelling app that will reveal your future. 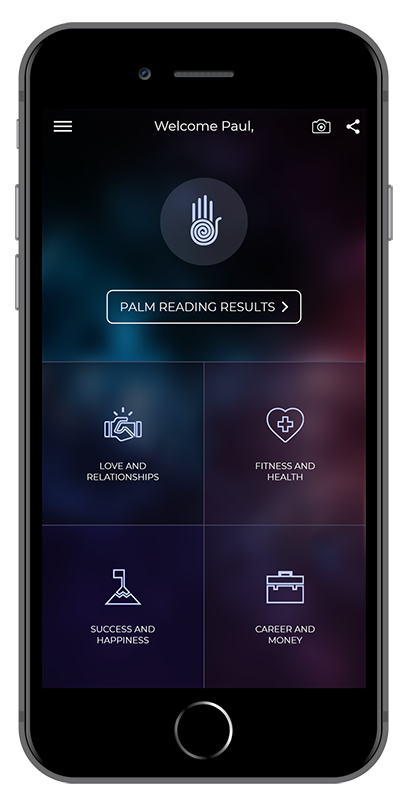 Take a photo of your palm and see a personal prediction for your health, love life, success, career, money and happiness! – struggle with loneliness, or find a loving partner and enjoy a happy marriage, surrounded by friends? – live a long, healthy life, free from unwelcome illness? – make the right career choices, leading to success over failure? – find yourself burdened by debt, or live in wealth and luxury? Get the answers now with PalmistryHD! Be amazed by how much your palm will reveal about you! Know what astrology and the planets have in store for you today. Check the daily horoscope for your zodiac instantly with PalmistryHD and Daily Horoscope. 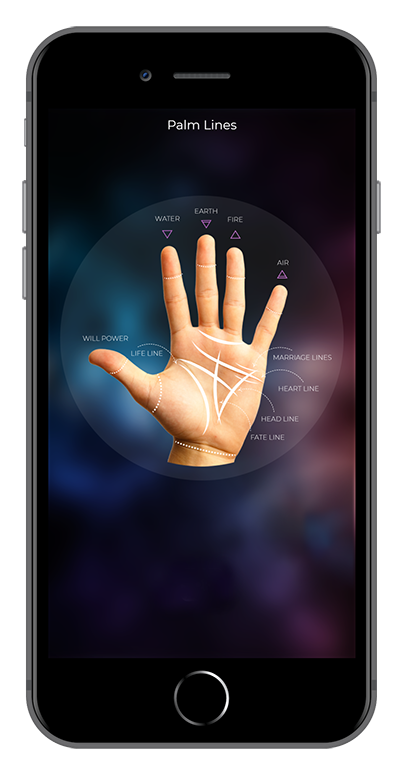 Palm reading is also known as palmistry and reveals individual personality and character traits through the study of the shape, size and lines of the hands and fingers. There are two different branches in this ancient science. The first one is Chiromancy which deals with the lines on the palm and the second is Chirognomy which deals with the shape of the hands, the color, shape and texture of the palm, fingers and thumb. Download the PalmistryHD app for iOS or Android for free and discover your destiny today!